Amy June Bates is a freelance children’s book illustrator. She is best known for her watercolor and ink illustrations, and her graphic designs have been described as "uncluttered and inviting." 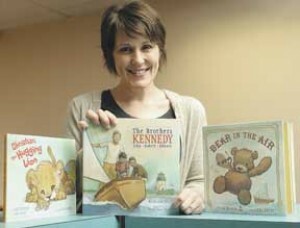 Bates, the daughter of Bill and Hawley Barrett, was raised in Utah and earned her bachelor’s degree in illustration from Brigham Young University. She worked for the Waterford Institute where she created art for more than twenty early readers. 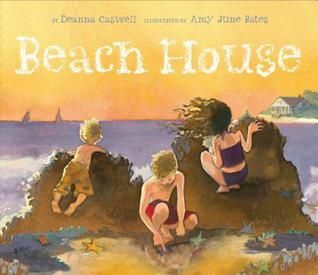 As a freelance artist, she has illustrated the book covers for Beach House (by Deanna Caswell); Waiting for the Magic (by Patricia MacLachlan); Red Butterfly (by A. L. Sonnichsen); Christian, the Hugging Lion (by Justin Richardson and Peter Parnell); Sweet Dreams and That’s What I’d Do (by Jewel); Hillary Rodham Clinton: Dreams Taking Flight and The Brothers Kennedy: John, Robert, Edward (by Kathleen Krull); and Give Thanks to the Lord and I Will Rejoice (by Karma Wilson). She has worked with Harper Collins, Hyperion, Cricket Magazine, Barnes and Noble, and Farrer, Strauss and Giroux, among others. Bates and her husband, Alex, are the parents of three children and live in Pennsylvania. She is a member of The Church of Jesus Christ of Latter-day Saints. This page was last edited on 20 July 2015, at 22:32.